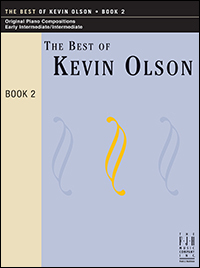 The Best of Kevin Olson, Book 1, is an exceptional collection of student favorites from this prolific and popular composer. Contents include: A Dinosaur in My Backyard, Scary Larry, Rolling Peas, The Hermit Crab Cha-Cha, Somethin' Spicy, Island Song, The Secret Agent, Nocturne, and Elephant Stomp. Kevin Olson presents another outstanding collection of musical gems teachers and students will truly appreciate. Contents include: Tick-Toccatina, Autumn Ballard, Ice Dancing, Stargazing, Melted Ice Cream Blues, At a Paris Café, Sunset at the Beach, and Spanish Serenade. This outstanding collection includes some of Timothy Brown’s most-requested and best-loved music for solo piano. 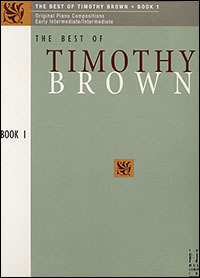 The Best of Timothy Brown, Book 2 continues to offer the best-loved and most-requested music by this popular, prolific composer.